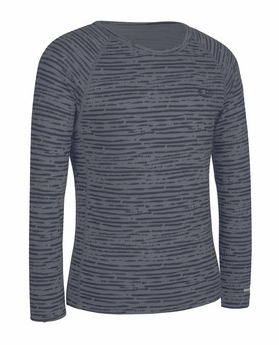 If you are looking for warm, but comfortable clothing for your little guy this winter, then make sure to head over and check out Icebreaker Merino apparel! Launched in 1994, Icebreaker was the first company in the world to develop a merino wool layering system for the outdoors. It was also the first outdoor apparel company in the world to source merino directly from growers, a system it began in 1997. Icebreaker merino clothing for the outdoors, technical sports and lifestyle includes underwear, mid layer garments, outerwear, socks and accessories for men, women and children. They call silky soft merino an all-season miracle fibre since it regulates temperature, keeping active kids cool in the summer and warm in the winter. (Toasty warm kids are happy kids when skiing and playing in winter’s playgrounds!) 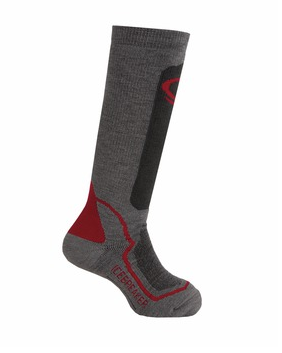 Additionally, merino is sun-safe (UPF rating of 50+) and fire resistant. Plus, merino is natural and sustainable. Made of renewable wool shorn from the sheep in New Zealand, kids (and adults) can go online and trace the wool from their apparel back to the sheep farm through a unique Baacode sewn inside many of their garments. My son is a very active boy who loves to play outside! This cold weather never stops him from wanting to get outside and play! That is why I am so thankful I have some Icebreaker apparel to dress him in this winter! I love that Icebreaker apparel are warm in cold weather, cool in warm weather, light, and breathable so that if he sweats outside, it won't chill him! It is also easy to care for and has no itch, even though they are wool! However, my favorite part is that the clothing is renewable and biodegradable! That’s because it’s made from grass, water and sunshine, rather than petrochemicals like with polyester fabrics. My son loves his warm and comfortable clothing from Icebreaker and they are super cute on him as well! My favorite item was the Kids Snow Mid Over the Calf socks. They are so WARM - and are perfect to wear with his boots outside for a walk in the snow! If you want eco-friendly, warm, and cute clothing for your child this winter, head over and check out Icebreaker's merino wool clothing selection! Buy It: You can purchase all Icebreaker apparel from the Icebreaker website.